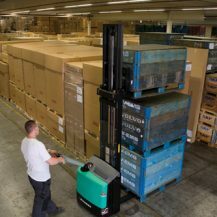 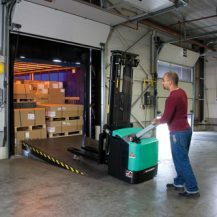 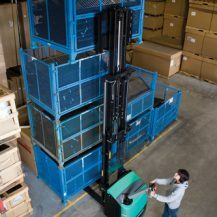 AC drive motors have given these pedestrian stackers a number of added advantages – including higher economy, energy efficiency and power. 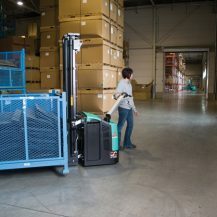 An ergonomic tiller arm and extremely compact powerhead, combined with a very narrow chassis and excellent visibility, makes them highly manoeuvrable in even the smallest of spaces. 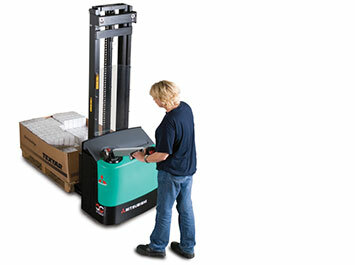 They can be used, for example, on board road vehicles, in block stacking or in congested areas.